Just as two chemicals in a solution suddenly become more than they were with the addition of a catalytic substance, organizations can become more than they were with the addition of Leadership Catalysts people who create, develop, or inspire improved performance and leadership behavior in others. By using lessons from neuroscience and cognitive psychology research to be more mindful, connected, intentional, generative, and heretical, Leadership Catalysts become force multipliers and help create Leadership in Depth in their organizations contributing more powerfully to their organization's success. Lao Tsu, a 6th century B.C. Chinese sage and author of Tao Te Ching captures the essence of being a leadership catalyst in the following passage: With the best of leaders, When the work is done, The project completed, The people all say, "We did it ourselves." Kevin Zachery was born in Paris, France, and raised in Eagle River, Alaska. He’s been a student of leadership and organizational development since high school, when he was the Commander of his Navel Junior Reserve Officer Training unit. He attended the United States Naval Academy and served 11 years as a Naval Officer, assigned to an ammunition supply ship, a guided-missile cruiser, and an amphibious assault battlegroup. He also taught leadership and ethics at the Naval Academy, while serving as the Assistant Chair for the Department of Leadership, Ethics, and Law. As a civilian, Kevin has worked with technology start-ups and non-profit organizations. He’s also been an independent consultant, working with a number of government agencies the most recent, the Department of Defense. He earned his master’s degree in Organizational Dynamics, from the University of Pennsylvania, and has certificates in Organizational Leadership and Management, Organizational Development and Change, and Organizational Coaching. 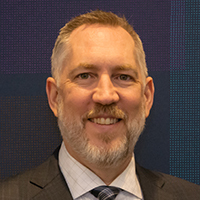 Kevin joined the Health Resources and Services Administration a division of Health and Human Services in April, 2016, as the Director of the Division of Workforce Development, otherwise known as the HRSA Learning Institute, or HLI. HLI provides talent and organizational development services to almost 2200 government employees.